One of the most impressive collection of online African American genealogical materials can be found at the Afro-Louisiana History and Genealogy website at http://www.ibiblio.org/laslave. 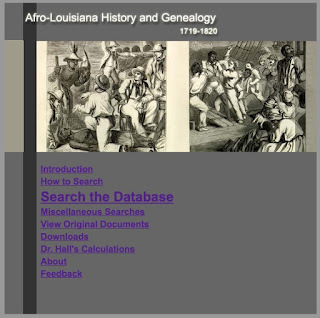 The database, created by Dr. Gwendolyn Hall, a professor emerita of history at Rutgers University, consists of a vast collection of materials discovered in 1984 in a courthouse in Pointe Coupee Parish, Louisiana. Included are documents delineating the backgrounds of approximately 100,000 slaves brought to Louisiana in the 18th and 19th centuries. 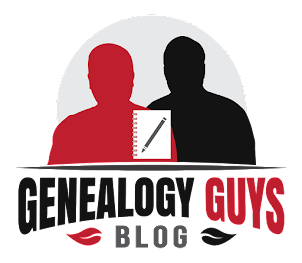 The database is searchable by name, gender, racial designation, and plantation or origin, and will be invaluable to many African-ancestored researchers. Main page for the Afro-Louisiana History and Genealogy website.